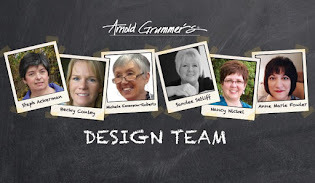 BC Designs: Arnold Grummer - Stampendous Blog Hop! The sentiment is so gentle and lovely! So pretty! Loving the butterflies! I love all the colors and dimension! Thanks for sharing the tutorial. Thanks for sharing your beautiful art. Beautiful piece. Love the butterflies and how they pop. The colors are so bright and beautiful. Inspiring! Getting your hands dirty is part of the fun, right? Beautiful project! love the colors, texture of the papers and the wonderful saying! Love your pretty papers you made. The mica powders are so shimmery and the vibrant colors are just fabulous!! Your project is gorgeous. Beautiful colors Very pretty papers. Wow, the butterflies look wonderful. Nice job!! Beautiful papers! Love your project! Stunning card! The butterflies look amazing on your gorgeous card! They look like they are dancing to the music! Happy Earth Day!